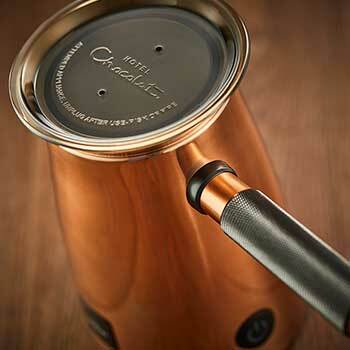 Looking for chilli hot chocolate? Our smooth hot chocolate with the added warmth of Habanero chilli to tingle your tongue – a must-try. 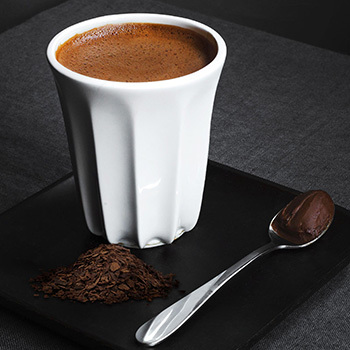 Smooth, classic drinking chocolate packed with deep cocoa flavour, plus the added warmth of Habanero chilli to gently tingle your tongue in every sip. A must-try version for spice fans that gradually builds up inspired by the way the Mayans drank it. Suitable for vegans when made with water or plant milk. Nutritional Information Per 100ml, when made with skimmed milk: Energy 1607kJ ( ,385 ,kcal) / Fat 4.4 g ( of which is saturates 2.7 g) / Carbohydrates 8.5 g ( of which sugars 8.5 g) / Fibre 1.0 g / Protein 4.2 g / salt 0.10 g.